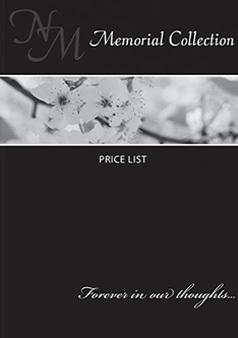 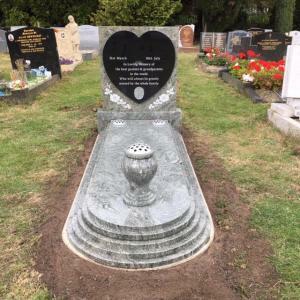 This karin grey lawn memorial shows the timeless gothic style top with a simple cross in black. 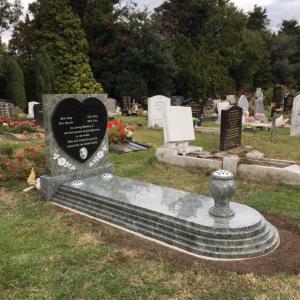 The memorial is installed using a Namm approved ground anchor system for safety and to comply with the cemetery regulations. 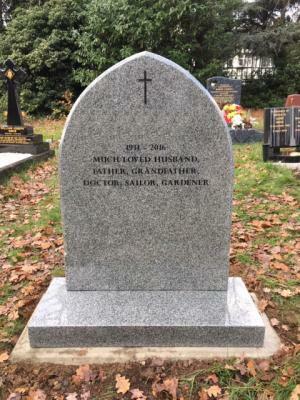 This memorial is a mix of our NM-109 headstone with black granite heart panel set onto the kerb surround of our NM-141. 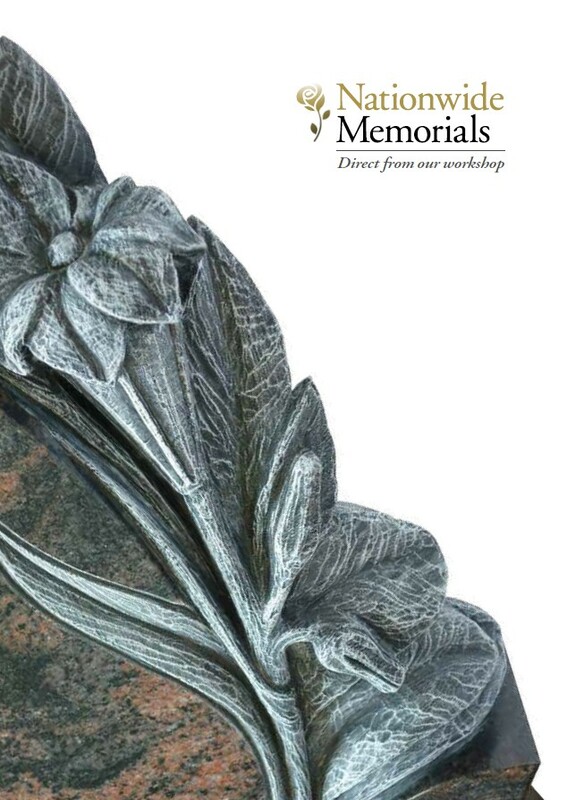 The beautiful steps & curves of this memorial are finished off with a round vase. 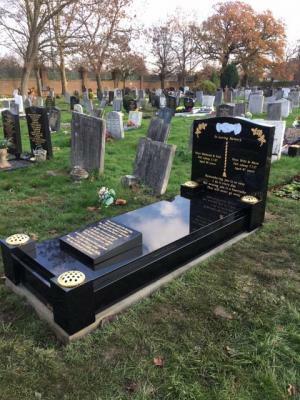 Here we have a black granite full kerb memorial with vase posts to four corners and a wedge tablet set onto the coverslab, the wedge shape of the tablet will ensure the longevity of the gold letters to the tablet.